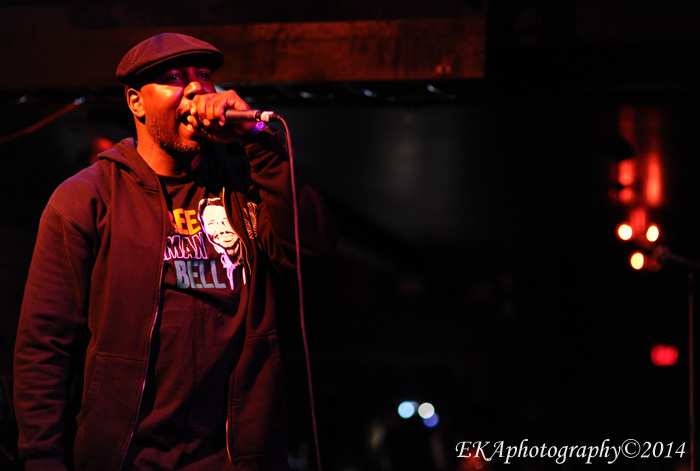 In Part One of this interview, Oakland-based educator and rapper Jahi talked about how he became the lead emcee in PE2.0, a musical and cultural initiative created by Chuck D, Professor Griff, and the Public Enemy organization, which aims to revisit the group’s legacy while pushing forward for a new generation of listeners searching for consciousness, sanity, and dignity in rap music. 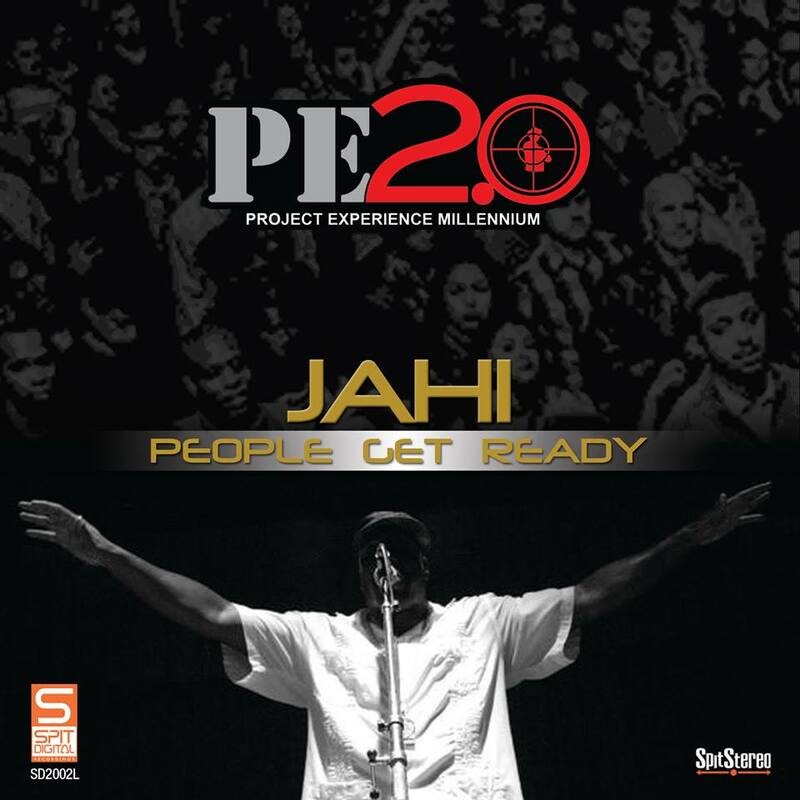 In this continuation of the discussion, Jahi breaks down some of the specific songs on the new album People Get Ready, and the connection between himself, Public Enemy, Tupac Shakur, the Black Panther Party, and the city of Oakland. Oakulture: Let’s talk about some of the original PE2.0 songs, like “Mind For Malcolm.” What are you dealing with on that song? 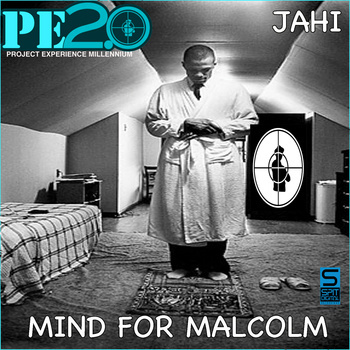 Jahi: “Mind for Malcolm” is actually not on the album, “Mind for Malcolm” is kinda like how you shoot a flare, send a signal. The fact is, if you know Public Enemy’s history, I believe it was Chuck or maybe Keith or Hank, they were out promoting, and they put up a poster of Malcolm, and somebody said, ‘who is the dude with the glasses?’ Or something to that effect. I’m paraphrasing. What Chuck realized is, wow, not only could we make music, but we also could lift up some messages and really say something that matters. So when Malcolm [X]’s birthday was approaching, I reached out to Chuck and asked if it was okay, if I took that track, name the song “Mind For Malcolm,” and use it as a signal to let people know that PE2.0 was coming. So that’s where “Mind For Malcolm” came from. So that was really like, one of the first, you know, I had recorded maybe 7 or 8 records, and none of those records ended up on the final cut of the album, but “Mind For Malcolm” stuck so we sent it out as a signal on Malcolm’s birthday. Oakulture: What inspired “People Get Ready”? Jahi: Ah, man. “People Get Ready” is not a song. It’s not a song. What it is, is a call to action to save the people. Get ready, ‘cause you might have to physically fight for your freedom. We were trying to decide on some album titles, and Chuck hit me with “People Get Ready,” and I was like, I mean, number one, Curtis Mayfield, he’s probably in my top ten of all time. And just thinking about Mike Brown, thinking about Marlene Pennock, thinking about Eric Garner, thinking about all these things, and not just current events, but historical events. And, it just feels like, it needs to be said that sometimes, we slip. Sometimes we so social with having good times, partying and kicking it, that we not ready, we be getting blindsided, and the idea of… my grandfather used to say,’ it’s time to get ready.’ That means you organize yourself, you prepare yourself, you get things in order. So you’re able to handle the task, and right now, the task of freedom, justice, and equality, we need to be ready. And, the more we are not ready, the more we put ourselves at risk of losing our lives at this point. So, “People Get Ready,” once we diagrammed the album and just be thinking about… here’s where I’m at: if you think about it, I’m really not rhyming, it’s really a mantra, it’s really a chant, it’s really a meditation. Chuck comes with the rhyme. I’m not busting bars at all. But Chuck is. And then there was also a little play on that and Chuck said it. Oakulture: “Panther Power” obviously references the legacy of the Black Panther Party. 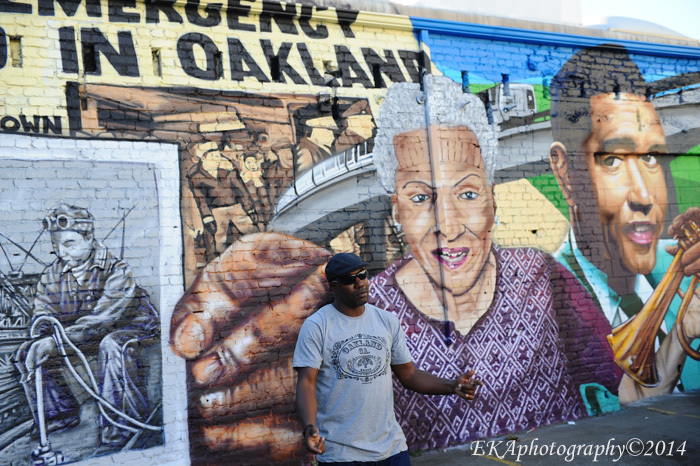 As an Oakland resident, how do you see that legacy shaping up in 2014? 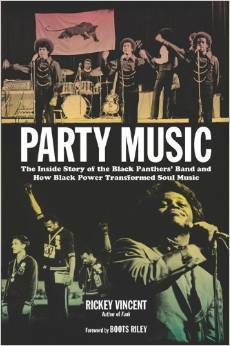 Jahi: Party Music, where he talked about the Lumpen band. So if you hear my second verse, We talking 1968, Jah called on Tommie Smith, the band in Oakland, giving the soul mix. I mean, that comes directly from Rickey Vincent. Once I got turned on to the Lumpen band, it was like, yeah, it really informed the rest of that record. And then, originally Griff was supposed to be on that record, but he wasn’t able to get on it. But we had this concept of taking songs, and putting speeches inside the song. I got plenty of quotes at the beginning and end. But in “Panther Power” in particular, Kwame Ture, when he first said Black Power, I took that whole clip and put it in there. To give a context of just that spirit. It wasn’t about freedom, he said, we’re not talking about freedom, we’re talking about power. And right now, as much as we need freedom, justice and equality, black people, we need power. And when you say Black Power or Panther Power, there’s a certain energy that comes with that. So I wanted not so much to resurrect that, but to continue it in 2014, to inspire a 9 year-old or 8 year-old, as well as a 40 year-old. Oakulture: There’s some cultural authenticity there too. It’s not like you live somewhere else. I mean, you’ve been an Oakland resident for 15 years, right? Jahi: That’s right, that’s right. I live here. When I said, writing rhymes late night in the home of the Panthers, I was in Oakland, California when I said that right there. When I felt like I had a first draft, I actually was watching sunsets at Merritt College. Like, these are facts. We in a time when most people’s rhymes are so fantasy. Sometimes, we be getting in metaphorical and lyrical exercises, nah, this is like right in your face. I mean, I’m in Oakland, and I’m thankful that I’m in Oakland. I lived a lot of places, I moved around a lot of places. But I’m thankful to be in Oakland, I’m thankful of the history here. I know that I’m standing on shoulders of ancestors. I don’t take it for granted. You know, just being in Public Enemy stands on the shoulders of the Panthers. You know what, I couldn’t have been in a better place anywhere else in the world to be able to do this first project. Oakulture: “What They Need” is another strong one. What are you addressing with that one? Jahi: Mmmn. “What They Need” is a revisit, give the people what they need was [an] original lyric by Public Enemy. So I really like how they did the chorus, cameras, lights, action, look out, human rights, whiplash, po-po, Fed killers, killing kids. I mean, we are experiencing that right now. So, I think about kids, if you say here’s some ice cream, or here’s a home-cooked mean, you know, beans and rice and all of that. All of the kids will go pick what they want, they’ll pick the ice cream. But the reality is what we need is more wholesome and important for us. So “What They Need” was really kinda diving in to say that, you know, there’s a certain level of lyricism with emcees that are around the world, and represent a particular lane. And that lane is socially-conscious. It is aware. It is forward-thinking, and it is life-affirming, it is revolutionary. And I wanted to send a signal that, I’m not dissing nobody in nobody else’s lane, but I’m in my lane. And my lane is just as valid as anybody else. And when you look at it from a world perspective, you realize that. So, in mentioning “What They Need,” don’t just be social, be committed and vocal. It’s some ancient context. I said, we giants, we not just talking baseball, we talking ancient scrolls that was left on the wall, that best represent the renaissance people. We are still those renaissance people. It’s almost like a reminder back and a push forward at the same time. Categories: OakQ&A | Tags: 2Pac, Black Panther Party, Chuck D, conscious hip-hop, Jahi, Oakland, PE2.0, People Get Ready, Public Enemy, Rickey Vincent, Tupac Shakur, What They Need | Permalink.